When considering hospitals and healthcare facilities, your main concerns are medications, supplies and of course, the patients. 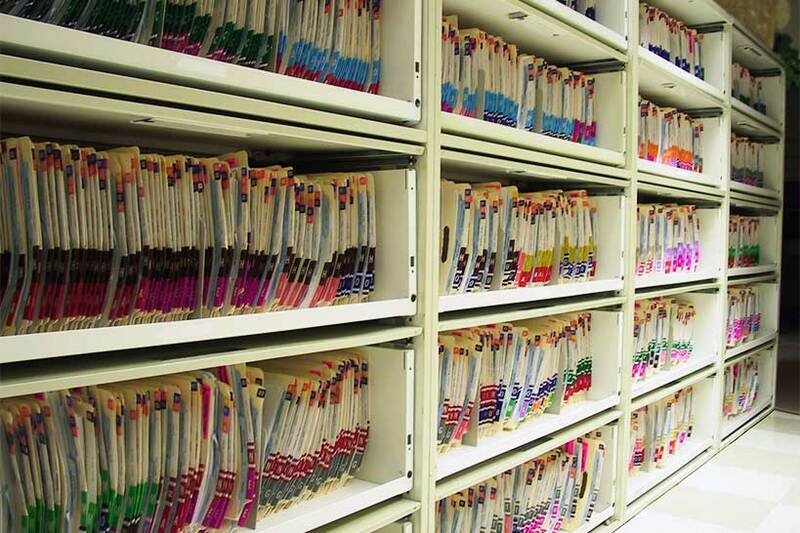 One area that at times gets overlooked is the building’s medical file storage. Medical file storage includes business office records, patient files, general office supplies, housekeeping materials, essentially all of the non-medical equipment and supplies used in daily hospital operations. 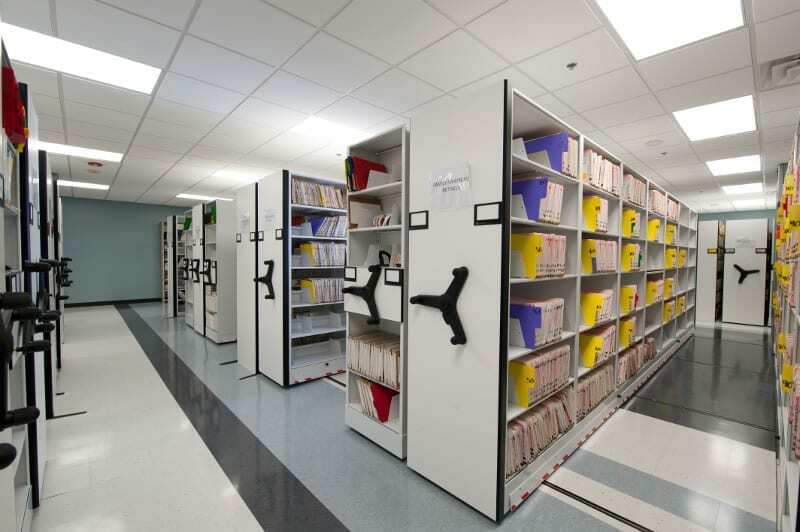 Having an organized, easily accessible and secure medical file storage area is essential to operating a healthcare facility smoothly. We understand that you may not have a big footprint to work with for this storage area, and that’s exactly why our innovative storage options could outfit your space perfectly. 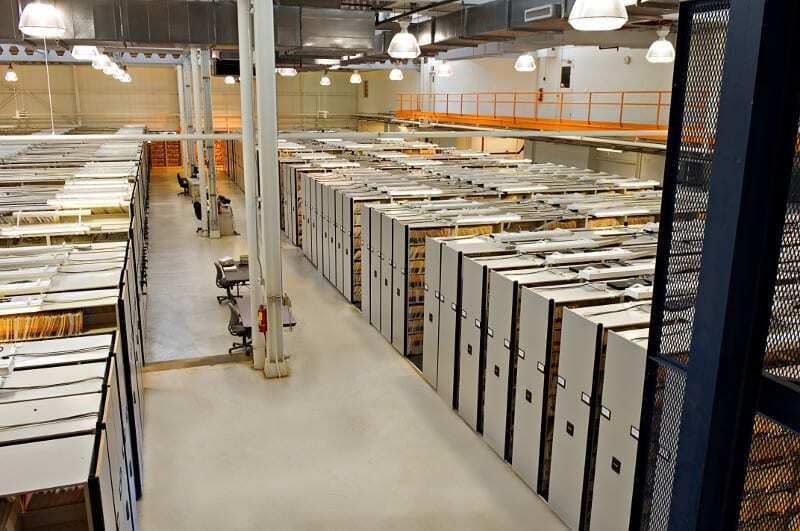 High density mobile storage systems can maximize your available space while creating ample room to store all your facilities medical files and supplies. Mobile systems can accommodate shelves, cubbies, drawers, doors and more to fit all types of storage needs. 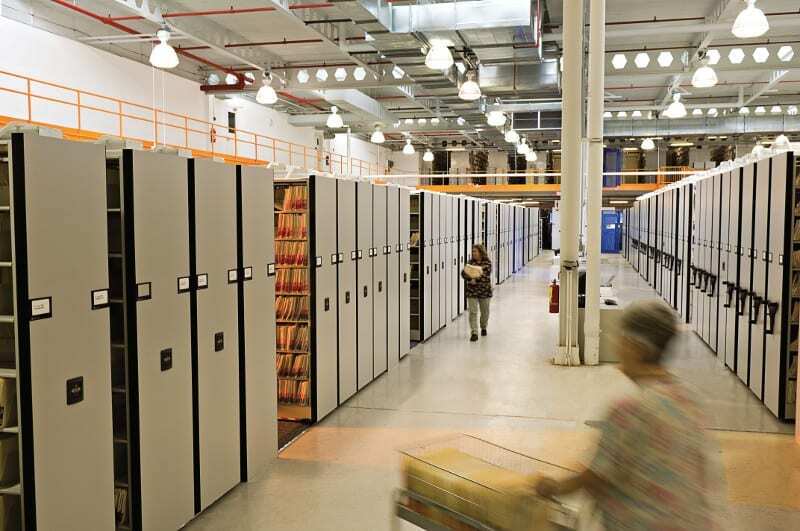 Mobile carriages will allow your space to only have one aisle whereas traditional shelving and static file cabinets have a fixed amount of aisles, creating far more wasted space. We work with state-of-the-art manufacturers to produce adaptive and responsive modular and flexible rail-mounted systems for your administrative healthcare environment. These systems can be configured and reconfigured according to your evolving needs. 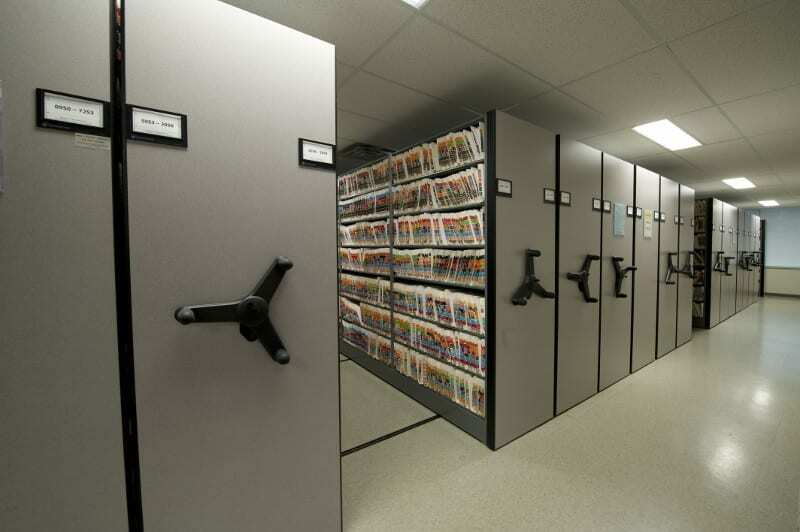 Shelving units also have built-in flexibility, with adjustable individual shelf heights in order to accept medical records and vertical files of various sizes. 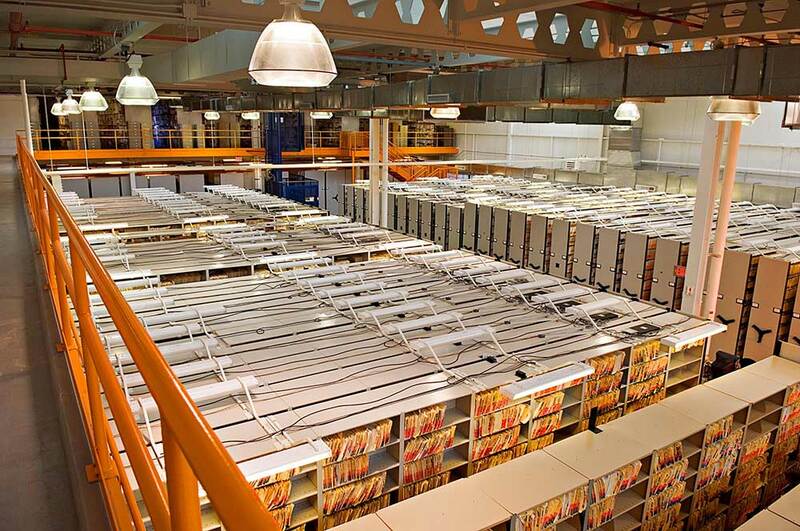 Files not housed on shelves can be stored in file drawers with full extension slides. 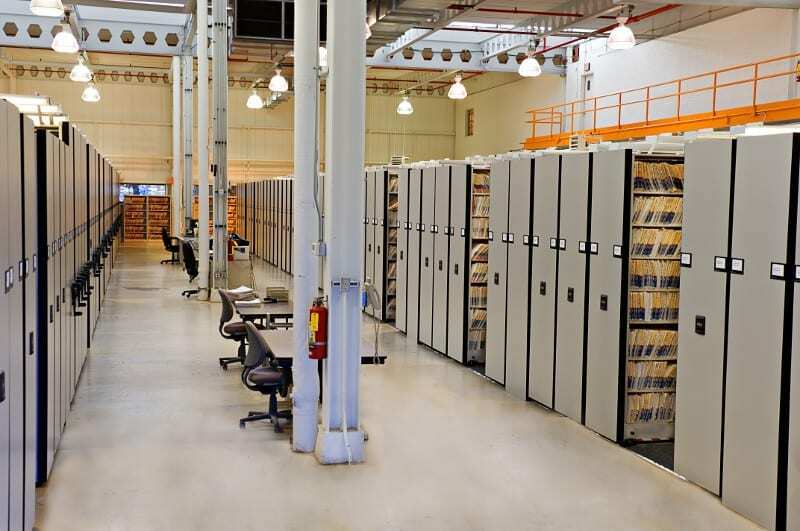 In addition to our storage systems, Bradford Systems also has a team of specialists that can organize, optimize, and maintain your file room for you. Discover our File Room Outsourcing services here.